Bipolar disorder, also known as manic-depression, affects 2.6% of the U.S. adult population each year. Characterized by unusual shifts in mood and energy levels, bipolar disorder can cause periods of extremely intense, elated and energized behavior called a manic episode, to sad and hopeless periods of depression. Manic episodes that cause less of an elevated mood or energy levels are characterized as hypomanic episodes. Left untreated, bipolar disorder can cause severe problems with day-to-day functioning, and can even cause hallucinations and delusions. There are several subcategories of the disease, and each one requires different treatment methods. Although bipolar disorder is a severe and lifelong condition, there are many effective treatment methods for bipolar sufferers. The following article will explore the different types of bipolar disorder in detail, who is most at risk of developing the condition, and what someone can do to treat bipolar disorder effectively. Bipolar refers to two different extreme changes in mood. On the one hand, patients experience extreme levels of energy, mood, and activity. This phase of the disorder is called mania or hypomania. On the other end of the spectrum, the disease will cause the sufferer to cycle back to a depressed mood. There are four different types of bipolar disorder. The first type of bipolar disorder is characterized by severe manic episodes that last at least seven days, or the manic episodes are so extreme that the patient needs to be hospitalized. Depression episodes will usually happen in this type of disorder as well, and those will typically last at least two weeks. It’s possible for people with type 1 bipolar disorder to experience mixed episodes of depression and mania at the same time. Bipolar 2 disorder is characterized by a pattern of hypomanic and depressive episodes, but patients do not experience manic episodes like those present in bipolar 1. Patients with cyclothymia will experience several periods of hypomania and depressive symptoms that last for at least two weeks. The difference with cyclothymia is that the signs a patient experiences do not meet the diagnostic criteria for a hypomanic episode and a depressive episode. For patients who do not have symptoms that fit into either of the three categories above, they will receive a diagnosis of unspecified bipolar disorder. Who is most likely to suffer from bipolar disorder? Around 5.7 million people in the U.S. have bipolar disorder. The lifetime risk of developing the disease is estimated to be between 3% and 10%. In the U.S. alone, almost 10 million people will develop bipolar disorder in their lifetime. Bipolar disorder affects men and women equally. But women are more likely to experience rapid cycling between episodes and are more likely to experience mixed or depressive episodes than men. Men are more likely to have manic episodes. 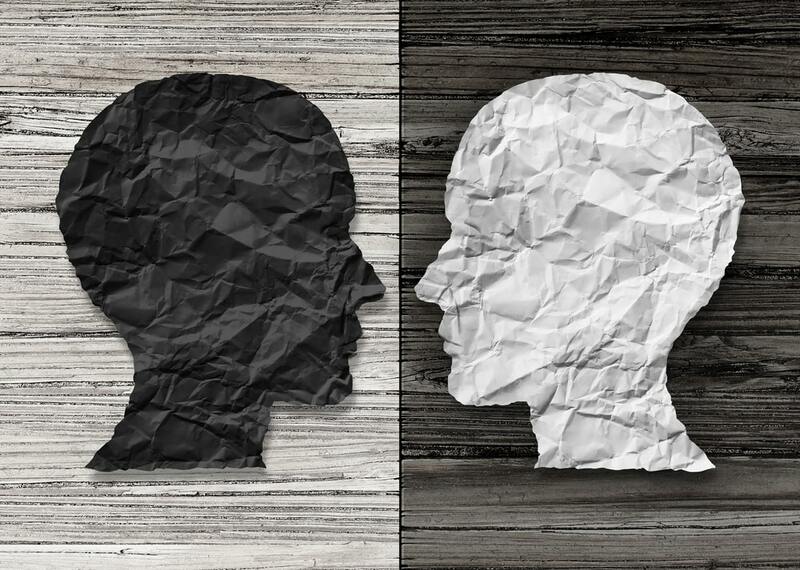 Bipolar disorder does not discriminate between race, religion, or socioeconomic status. But there is a genetic component to bipolar disorder. Two-thirds of bipolar patients have a parent with either unipolar depression or bipolar disorder. When both parents have the disease, the risk of the child developing it is between 50% to 75%. Bipolar disorder symptoms usually start around the age of 25. However, some people won’t begin to experience the disorder until they are in their 40s or 50s. Because paranoia, delusions, and hallucinations often accompany manic episodes, bipolar patients are at risk of being misdiagnosed with schizophrenia. What are the signs and symptoms that someone has bipolar disorder? Individuals with bipolar disorder will swing from unusually intense moods and emotions when they’re experiencing either a manic or a depressive episode. Sleep patterns, behavior, energy, and activity levels are all severely affected. Bipolar episodes cause the person to think and act much differently than they would normally behave. Also, bipolar disorder can cause the patient to experience episodes of both mania and depressive symptoms. During these types of episodes, the individual exhibits feelings of sadness, emptiness, or hopelessness, while also displaying signs of high energy and activity levels. When bipolar patients experience less extreme manic episodes or hypomania, they may be highly productive. However, they will also exhibit disruptive mood swings and changes in activity levels. If a hypomanic episode is left untreated, the person will go on to develop either an extreme manic episode or depressive episode. Individuals with bipolar 2 disorder are at higher risk of suicide than patients with either bipolar 1 or unipolar depression. Bipolar 2 patients are at a 24% risk of suicide, and bipolar one patients at a 17% risk of suicide. People with major depressive disorder are at a 12% lifetime risk of suicide. What type of treatment methods do patients with bipolar disorder need? If someone is experiencing a manic or depressive phase, they will need immediate medical attention. Left untreated, manic episodes can cause the person to take extreme, often dangerous risks. Their behavior can also damage their relationships at home or work. Manic episodes can also cause someone to experience hallucinations or delusions that can cause them to act out, hurting themselves or others. Fortunately, there are many different treatment methods for people with bipolar disorder. An effective treatment plan will include a combination of medications and talk therapy. Although bipolar disorder is a lifelong illness, it can be managed effectively. Depressive and manic episodes will come back throughout a patient’s lifetime. But with a treatment plan in place, doctors can implement long-term continuous treatment that can prevent bipolar episodes from progressing to hallucinations, delusions, or suicide attempts. If you or a loved one are suffering from symptoms of bipolar disorder, do not hesitate to contact an experienced mental health counselor today. The facilities at Mission Harbor are staffed with trained experts to best assist patients with their mental health issues. We are capable of dealing with any and all cases with a licensed staff, equipment, and approved techniques. Our mission is to help those who want to help themselves, and we support your decision in seeking help.